A while back, my wife knitted me a BB-8 which was pretty awesome. 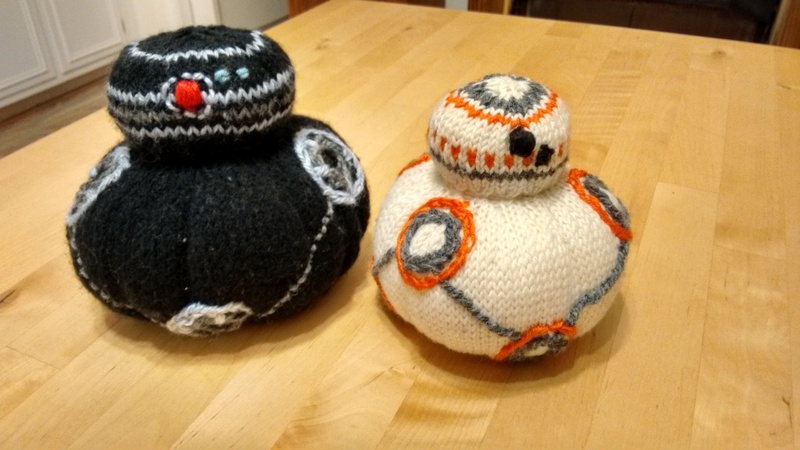 What’s even more awesome is that she used that pattern to knit me a BB-9E. He’s bigger, blacker and badder. Now I’m ready for The Last Jedi! This entry was posted in Make and tagged Knitting, Star Wars. Bookmark the permalink. ← What the heck’s a popsocket?